Save the date and register now for the early bird rate! Almost a quarter of the year has passed, and with it so many great events, courses and discussions related to shoulder and elbow rehabilitation. New podcasts in the EUSSER member area in the media library! SAVE THE DATE !! Don’t miss the opportunity to participate in EUSSER Cadaver course in Brussels, led by eminent professors in the field of shoulder and elbow anatomy and surgery. Berlin Congress photos ...AVAILABLE ! ASSET 2016 Congress AVAILABLE !!! In Liverpool the 27 & 28 November well-known shoulder experts Jeremy Lewis, Len Funk, Jo Gibson, Anju Jaggi, Suzanne Gard, and Tanya McKenzie will be sharing the platform with new researchers and emerging experts showcasing their current research. EUSSER BOARD INVITE ALL OF YOU TO ATTEND AND SHARE WITH SPEAKERS THE KNOLEDGE OF THE FUTURE !!! This week’s topics were tracked on twitter and you can find a collection of excellent articles currently being discussed amongst the twitter savvy crowd. As always, social media provides an amazing resource of current materials and access to specialists in various fields. However, there are also a number of risks in gaining all your opinions from these sources, there is no quality control and often the loudest and most controversial blogger gets all the attention. We need to take care in shaping our clinical opinions and research ideas purely on the popular topics of the day. Like all things, listen to what people have to say, analyse the information based on your own experiences, and form a healthy consensus of opinion amongst your professional colleagues. Anju Jaggi, Past President of EUSSER talks with Adam Meakin about shoulder instability, in particular the complex multi-directional non traumatic unstable shoulder. eVote for AGM 2015 NOW OPEN! All EUSSER Members are requested to express their eVote on the Board 2014-2015 activity Report and on the 2014 Balance ! A systematic review on the effectiveness of rehabilitation programmes following surgical repair of the rotator cuff! The Subacromial Syndrome management is the topic for a new relevant paper in our Your EUSSER Area !! 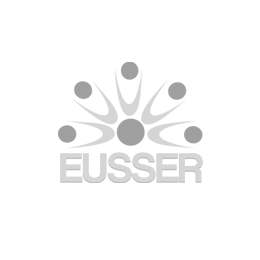 New papers available in Your EUSSER page ! The Scient Comm of EUSSER select for you the most interesting and relevant papers / guidelines Login to share it with us !! The ABSTRACT SUBMISSION PROCESS to the EUSSER-SECEC Day of the 19/9/2015 is now open! This one day course comprehensively reviews the techniques and applications of diagnostic MSK US of the shoulder joint. The conjoint SECEC-EUSSER Int Meeting was held in Istanbul the 20/9/2014 and it was a great success!! Thanks to the 100 participants Pts from all Europe + Turkie and Australia !! Thanks for the conjoint effort of the EUSSER Board and the SECEC Rehab Comm and to the local Congress Program Commettee leaded by Prof. Mehemet Demirham ! See photos and PDF of articles in the event area relates SEE YOU in MIlano ( Italy ) the 19 Septembre 2015 !!!!! The famous EUSSER cadaver Course for PTs to learn Anatomy for a better Therapy is now approaching!! Few Places left !